I know most of you have already figured out that the new Audi RS6 will be my 2014 winter mobile, but I always enjoy posting nice pics on this blog, so thats why I gave Mr Oskar Bakke a few days to work his magic! So here you go, if you see this rolling around Europe, you know its me! Before I pick it up Stertman Motorsport is going to work their magic and give this thing some extra love. I have yet to decide exactly what to do, but I do know that a Milltek exhaust will be fitted as well as some dumped suspension by H&R, but we all know I like power and I am sure that when it leaves Stertman it will be a beast! Well it already is to be honest! I have never jumped into a stock car and have it blow my mind, this truly is the most impressive car I have ever driven, the only car that came close to impress me as much was the Agera R, so I think that says a lot! Cant wait to crush this around the winter roads! it is going to take some time. Yes! Finally something about auto body repair. If you spend a bargain of time in you automobile, and of course, the early morning commute to work and the evening commute home every day absolutely counts, you are most likely much more than slightly familiar with the advantages of having a good auto noise system. Your sound device is your buddy in your journeys the majority of the time. Even those which have kids commonly spend a wonderful offer of time driving alone. 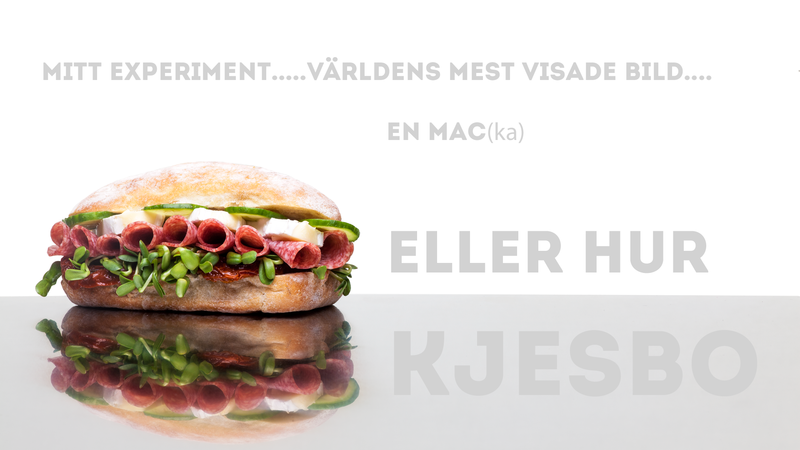 Tar lite länkhjälp från din blogg Jon, eftersom den är så välbesökt så ger den bra länkkraft och förhoppningsvis rankar vår experimentbild högt inom några veckor. Bilderna på din blogg är fantastiskt fina. Djupet, lystern och kompositionen i bilderna är kanon. Att du reser till många exotiska platser som gör sig på bild underlättar ju för den duktiga fotografen som följer dig. Han har ett fantastiskt jobb, även om det säkert är jobbigt stundtals. Hoppas att vårt experiment är OK för er, lycka till med skidåkningen Jon! Jag är övertygad att du skulle ha kvalat till OS i slopestyle om du satsat lika mycket på det som på portåkningen. Tråkigt att de gamla proffsen, Sarah Burke, Simon Dumont, Tom Wallisch, Tom James Schiller och Sammy Carlson inte lyckats komma med. Ni hade alla varit värda att få uppleva första OS tävlingarna i Slopestyle som aktiva, ni har betytt så mycket för sportens utveckling och att den blivit det den är idag. tjena! schysst kärra! skulle inte du kunna lägga upp ett inlägg om dina bilar? där du berättar om vilka du har nu samt vilka du haft. skulle va sjukt intressant! Får du “rabatt” på bilene fra Audi siden du er sponset av de? no more Q7? I guess the utility will be the same but with way more balls! As cool as the Lambo and R8 were, they just do not have the utility for training skis and race day skis plus all the gear! I got to know, what will use use for snow tires on large aftermarket wheels? Now some anxiety to see some pics of your car trips, and some videos….show us the beast working and driving around please spend some time on this…. What’s the original color without the wrap? Nardo grey or white? I’m thinking seriously to buy one now more than ever..
Best wishes for 2014 JON !! got to agree with you Jon! one of the best cars ever made for the road. Jasså en vuxenräcer. Du börjar åldras Jon!! Good choice! But what is up with your seats? The leather looks like it’s already ten years old at some parts!? Is it just the filter of the photos?? And for the lower part of the seat it’s water from Bakke walking in and out of the car. Jon….go APR. They just released their RS6/RS7 tune. It makes 728 HP & 744 TQ. It’s unbelievable. Du får göra en video på den! I MISS THE SKI BOX ON THE HOOD!!!! i know thats a combi but the skibox is your sign!!! Tjena Jon jag såg den i Vemdalen i lördags såg riktigt fet ut! Men de va en snowboard åkare som klev ur:S antar att de va Oskar!? Looks fantastic Jon! We look forward to your 2014 adventure coverage. Greetings from Toronto! Incredibly sick RS6. Very impressed and it takes a little bit to impress me with a VAG car these days. Congrats! Got only one Question saw a picture of you’re R8 on a trailerbed in Holland. Is it Broke? Sold? Or just on Transport to Monaco? Here is the picture of the car on the trailerbed. finaste Audin någonsin! Hoppas du börjar göra videobloggar nu som du gjorde tidigare år, så att vi får se och höra bilen! 10 points for Mr. Olsson. I knew since you show a mini photo in your Instagram that you have bought “the car”. Unfortunately, today it’s not a great day, since Schumacher it’s at the Hospital fighting for survive. So I cross my fingers for Schumacher, and I hope you guys that everybody cross the fingers for the Champion. What a car! and what a pic’s. Wow, Oskar knows what he is doing. Have fun with te car!! What tires do you have and what do you think about road noice? I have a bit of problems with mine (S6 2013) running on Nokian Hakka R.
I know that asphalt in Sweden is more like rubble .. but still. I love the car and the design!! Still on swedish plates ? MC one on the way ? You just heve to go with the Akrapovic exhaust, instead of Miltek. You are totally right! Akrapovic sounds much butter imo! Looks pretty low to me already, to be honest!! Men som den stance-älskare jag är, så ska det bli kul att se vad du lyckas göra med denna, även om det är en Audi..
Såg den i stan när gtboard fotade den, btw så måste du få upp en takbox på den bilen! Next time some AWD snow drifting! Those pictures are unreal! Sick location, sick car. Take me on a ride someday!! That’s a very good looking wrap (or paint) ! Mr.Oskar really good on photograph , I like all his work , especially with your car ! That looks awesome. You should probably be a bit careful with the suspension mods though, just to ensure that you do not mess up the great work the Germans have already put into the car. That is the best all-rounder car I would say. Fast, not too firm, good handling, tons of space and all wheel drive.